A surprisingly rare variation on the lander game. A maze-based game, with typing for control. A new game, for your delection. This one may totally do your head in; it's a real brain-twister. I realise now that I didn't mention putting up the previous two games, which is a pity, because... well, they're also awesome. How to move gameplay objects within a graphic filter. An introduction to using graphic filters to display tiled bitmaps. The first in a series of articles about using graphics filters for game logic. When you've played a lot of games, it's not surprising when you start to see parallels in the real world. Feedback - giving information to the player about state changes - is essential for games. But how explicit should it be? I've updated the website - read about it here. Includes information on how to get around the loss of Google's rotating colour palette facility for adverts. After a long break, see how far I got. The photography idea wasn't going to pull its weight in this game. What shall I do instead? Distant background - an interesting discovery prevents my game becoming a confusing mess. Another cosmetic development - foreground objects integrate the character into the world. How I'm creating an interesting world without obvious repeating textures. Some thoughts on how the structure of a gameworld can be optimal for the intended gameplay. Also, how I arrived at the player vs environment collision model, and a first demo. The first of a series of articles on developing a game - my general approach to game development, and the concepts behind this one. 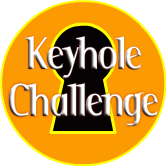 Also lays down the gauntlet to other game developers with the Keyhole Challenge. Sorry for not putting up any new content for a while. Apart from a couple of articles I thought better of, I've been mainly working on a new and exciting project. Licencing stuff is a pain! Many online puzzle games have a walkthrough created within hours of the game's release. Here I discuss why this is a bad thing and how to prevent it. It's almost been a month already, so here is the concluding article about how to make starting up your game feel quicker. If optimising to reduce the size (and hence loading delay) of your game has reached limiting returns, what else can you do? The first of a pair of articles about how to make starting up your game feel quicker. All blogs 'ought' to allow comments, but up to now mine has not. do something a bit clever. Option (1) is boring, (2) needs a database for the accounts and (3) would negate any chance of a community, so of course I went with the last option. Well ahead of schedule, an article. I consider the variation in player choice - how linear a game is - at different levels. Welcome to my not-quite-a blog. It's not quite a blog because I'm building it manually, and reserve the right to edit things after posting. Mostly it'll be articles about gameplay, short description of my games, or perhaps something about what I'm developing at the time. I might link in other games I like, or something else random - you'll just have to see if you like it. The plan is to try and post something at least once a month, or more often if possible. But don't hold me to that. I've migrated some old stuff across to this format; they're not in chronological order but it makes sense to keep them. A walkthrough of FGW Bridge, a game by Wayne Marsh. Well, I say walkthrough, but it isn't necessarily the quickest way of doing it. Another non-game thing. This is a tool for creating images of clouds, wood textures and other plasma-based effects. If you've been wondering about the backgrounds in many of my games have a play with this.